hi, i just discovered the great drawing application: Alchemy through the neil blevins gallery. its a drawing programm, that creates very neat fractals and somewhat random shapes. ideal for creating hip and fast artificial drawings, or it can even be used to integrate in the production pipeline of your art department. 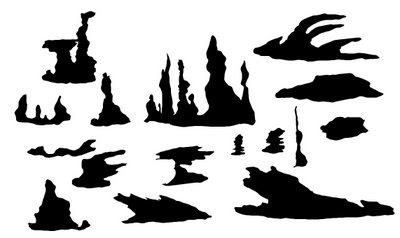 you can find forms and silhouettes very quickly, or you can even go for rough concepts..
here are some terrain shapes created within seconds..